Reality TV star Kate Gosselin is making headlines for her re-emergence into the public after she lost custody of her son Collin to her ex-husband, Jon Gosselin. 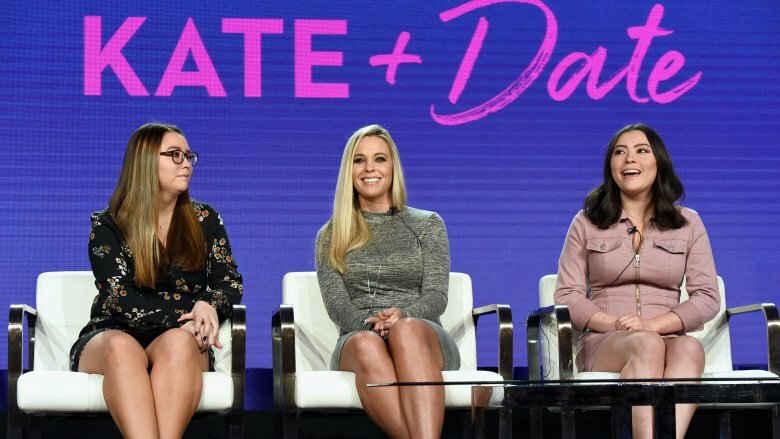 On Tuesday, Feb. 12, 2019, Kate Gosselin and her 18-year-old twin daughters, Mady and Cara, took to the stage for a Television Critics Association event in Los Angeles, as reported by E! News. There, the three women discussed their new venture, a reality show about Kate's reintroduction into the dating scene called Kate Plus Date. Their previous show about their large family, Jon & Kate Plus 8, which was later rebranded as Kate Plus Eight after Kate and her husband split, ended in 2017. "Almost 10 years after her divorce and with diapers, bottles, and sleepless nights a thing of the past, Kate Gosselin is ready to find love or, at least, like," Howard Lee, the president and general manager of TV network TLC, shared when announcing the Gosselin women to the crowd. "With the help of professional matchmakers and her college-bound daughters Mady and Cara, Kate dives back into the dating pool. She puts it all out there, the good, the bad, and the super awkward." Kate, 43, noted that Mady and Cara would be "weighing in and helping [her] out" throughout the show, adding that often dates are "hit or miss." Still, daughters Mady and Cara are all in to help their mother find love again. "We've been nudging her to date for years," Mady said, explaining that she and her seven siblings "are so glad that she finally is." Cara added that her mother "deserves to be happy," as does everyone. And by bringing along a camera crew on her dates, Kate is able to feel safer when getting to know prospective boyfriends. "If I'm going to date someone, I can't just go out on a date," she explained to the audience, as reported by Radar Online. "It's creepy to me to think of just going out somewhere with some stranger, and so I actually feel like doing it like this is the best and safest way for me to go on a date." 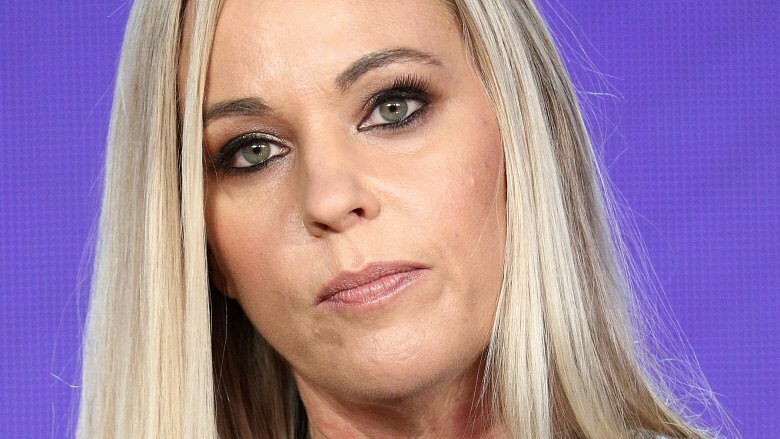 But Kate Gosselin's Los Angeles TCA appearance wasn't just an event to drive up publicity and coverage of her new TV show — it also marked her very first public appearance since she lost custody of 14-year-old son Collin. 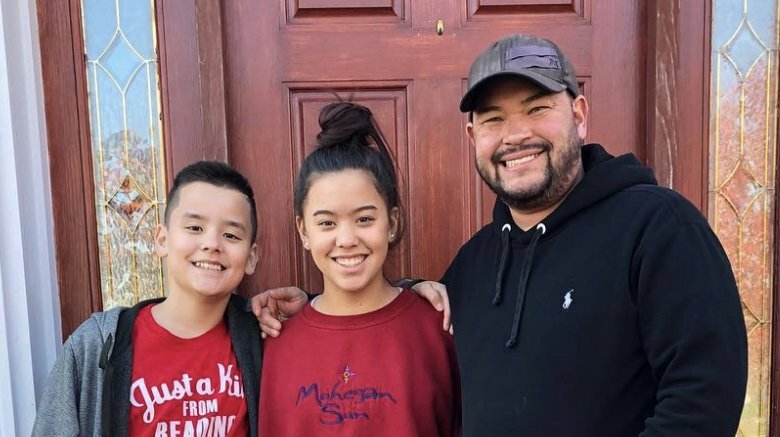 As People previously reported, Jon Gosselin, now 41, filed court docs to have Collin, who'd been living away from the family due to his alleged "special needs," move in with him in October 2018. Jon was later awarded temporary custody of Collin, according to Radar Online. It would eventually come out that Kate and Jon's battle for custody over Colin got pretty nasty, at least according to court docs obtained by Radar Online and shared on Feb. 13. Jon's lawyers reportedly argued, "It would not be in the best interests of the minor child…to have independent time with mother or to have mother share legal custody of the minor child because mother has not cooperated with the child's treatment and is a 'trigger' for the minor child." Yikes. Besides son Collin, Jon and Kate's daughter Hannah also lives with her father in Reading, Penn. Jon had filed for full custody of Hannah back in 2015, as "Hannah has expressed she is unhappy and uncomfortable in the house with Kate [Gosselin]," according to E! News. Jon and Kate previously married in June 1999, as noted by Good Housekeeping. In the years that followed, the couple welcomed twin daughters Mady and Cara and later sextuplets Collin, Hannah, Joel, Alexis, Leah, and Aaden. Together the family of ten became household names with their series Jon & Kate Plus 8, which debuted in 2005 (via InTouch Weekly). Jon and Kate later split in May 2009, and, unfortunately, things in their relationship as co-parents have been ugly ever since. And with Kate's brand new show soon to debut, we're not so sure that things will get any better with time. After all, as most people already know, reality TV doesn't have the best reputation for bringing loved ones closer together. Kate Gosselin's new TLC series, Kate Plus Date, is slated to premiere in June 2019. We doubt Jon, Collin, and Hannah will be tuning in.